On Thursday, June 4th, Office Dynamics International, a trailblazing leader in the field of training and development for administrative professionals, will celebrate its 25th business anniversary—an immeasurable feat considering the odds stacked against it. Las Vegas (June 4, 2015) – Office Dynamics International, the globally recognized authority for administrative training and development, is celebrating its 25th year in business this week. This milestone is cited as a momentous surprise for all involved, including founder and CEO, Joan Burge. “As a 100% woman-owned micro-business creating a brand new niche in a competitive market for an audience widely disregarded 25 years ago, no one could imagine we’d survive…much less thrive.” says Burge. Catering to Administrative Assistants, Executive Assistants, and other support professionals, Burge first spotted a gap in the training market in 1987 while working as an Executive Assistant herself. 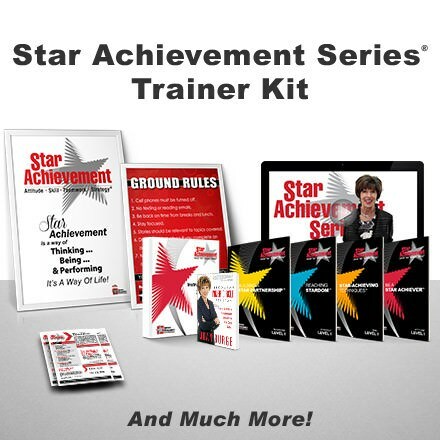 Determined to fill it, she created what are now considered two of the most well-respected, prestigious, and comprehensive training programs for this audience—The Star Achievement Series® and World Class Assistant™. Along with her 8 top-selling books, successful annual conference, coaching and consulting services, and numerous other offerings, Burge carved a unique and lucrative niche for herself, built a powerful international brand, and now proudly serves elite clients including Cisco Systems, The Boeing Company, Humana Inc., Procter & Gamble, Nationwide Insurance, Kindred Healthcare, and Chevron Corporation (among other Fortune 500 companies). Along the way, the entrepreneur encountered massive and numerous setbacks that threatened the livelihood of the budding business: multiple re-locations, the tragic loss of Dave Burge (Joan’s spouse and VP of Operations) to pancreatic cancer, and Joan’s own medical emergency that nearly took her life and forced the business to its knees in 2014. Vice President, Jasmine Freeman, has played an instrumental role in sustaining and building the business since 2006, when she joined the company as Joan’s assistant. She is credited with helping Office Dynamics weather the many storms in its path with grace and resilience. Joan Burge is widely considered a visionary, the pioneer of administrative training and development, and a champion for the profession. Office Dynamics International continues to be the leading provider in what has become a rapidly growing niche market. Against all odds, the company and its fearless leader have survived and, indeed, thrived. 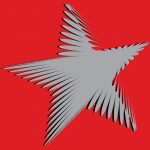 Office Dynamics is celebrating this unlikely 25-year anniversary by offering free monthly training webinars throughout 2015 as well as a 25% discount on all books, online training and other materials found in its online Success Store. More events, giveaways, and celebratory surprises will be announced through OfficeDynamics.com. Since 1990, Office Dynamics International has been the global industry leader in the development and presentation of sophisticated executive and administrative assistant training, coaching and resources. We offer a broad range of solutions that create behavior change and produce sustainable results. Office Dynamics’ experience and expertise in the administrative training industry are unparalleled. We have crafted and refined a unique line of premier educational products and training programs that boost success for progressive employers and enterprising administrative professionals, secretaries, and support staff. Learn more by visiting www.OfficeDynamics.com. This is a wonderful accomplishment and tribute to Joan and her dream! Joan is an amazing lady and I am honored to have her as a friend. I am grateful every day to have found Office Dynamics, Joan and Jasmine. CONGRATULATIONS to all the wonderful people at Office Dynamics, you are an amazing team who brings energy and delight to the administrative profession! We love you!! I was first introduced to Office Dynamics about 8-9 years ago when a colleague shared a copy of the Monday Motivators. 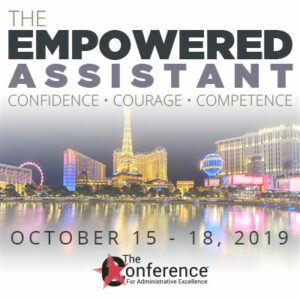 I was intrigued that Joan Burge was leading the charge in the recognition of the importance of the administrative profession and the need for training and development. Since then I have shared my love of and respect for the work of ODI with many of my colleagues. Thanks to Joan and Jasmine for all they do every day. Great webinar on the Star Performer’s Secret Sauce today! Happy anniversary – looking forward to many more years! Thank you, Katherine. It has been a pleasure getting to know you. Remembering our dinner in Ohio when Joan and I were there last year and your kindness in helping me hunt down a new pair of hose from a number of stores! You’re the best. Congratulations Joan and the office Dynamics Team!